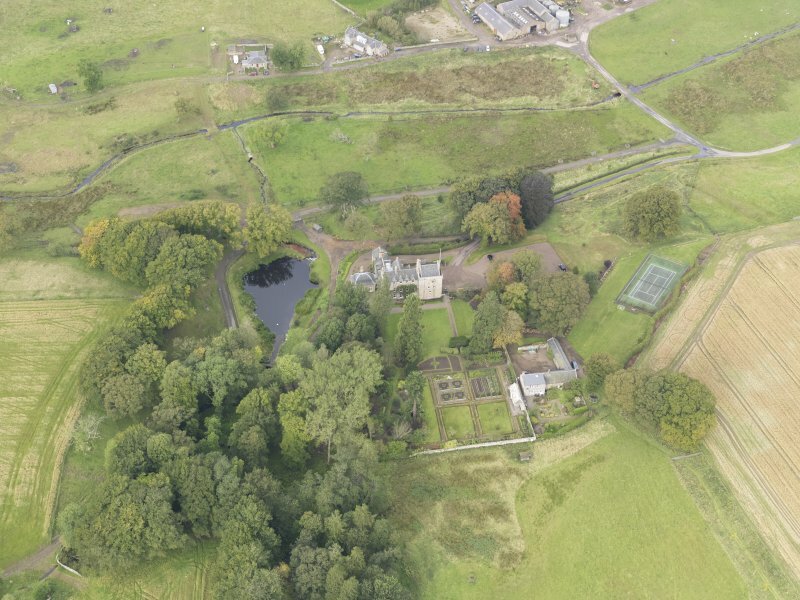 Oblique aerial view of Cakemuir Castle, looking to the E.
Oblique aerial view of Cakemuir Castle, looking to the SSE. 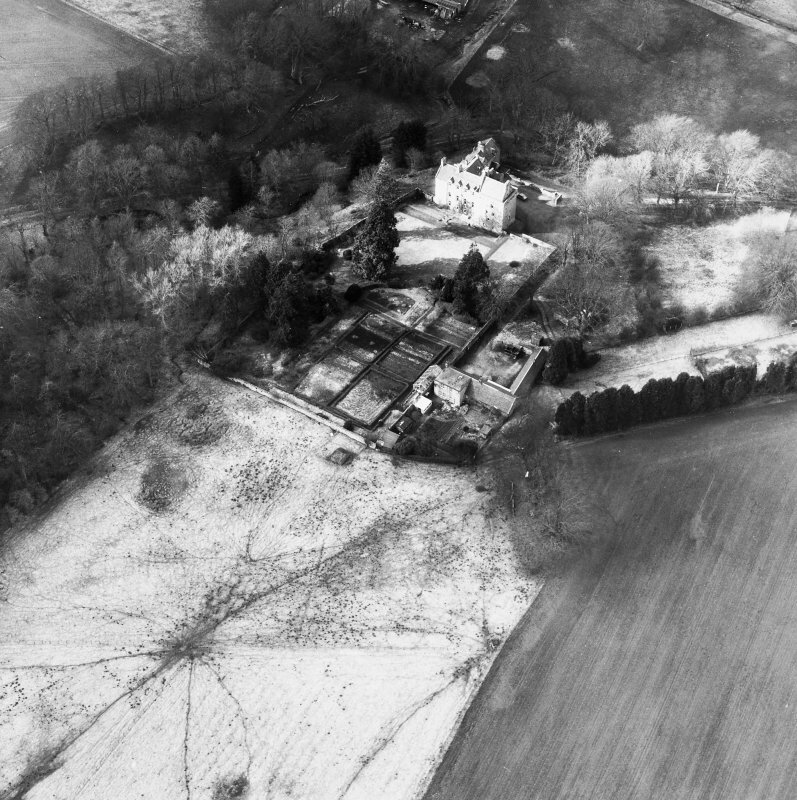 Oblique aerial view of Cakemuir Castle, looking to the SW.
Oblique aerial view of Cakemuir Castle, looking to the NW. 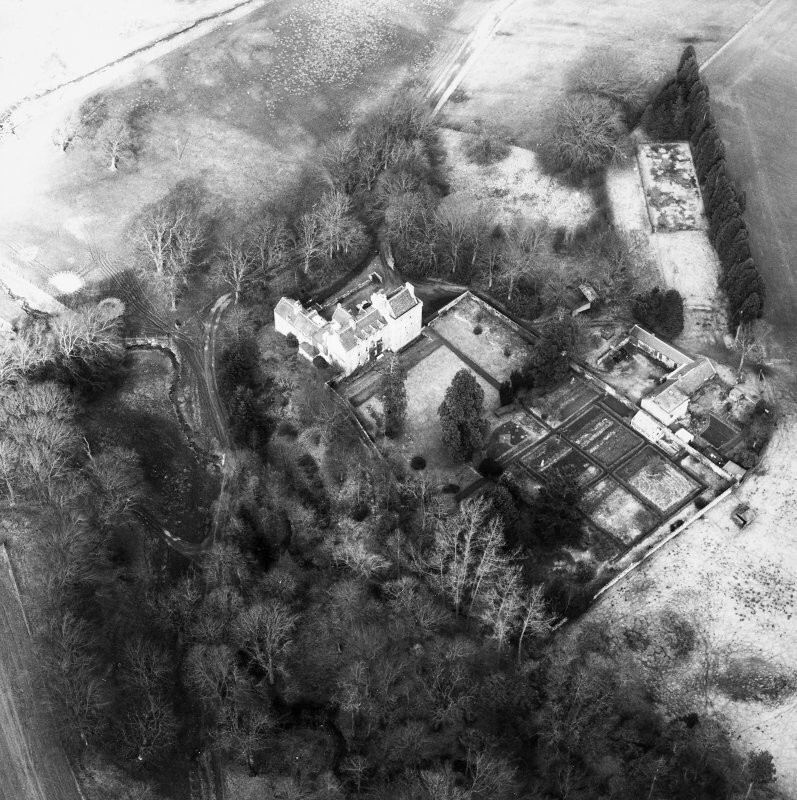 Oblique aerial view of Cakemuir Castle, looking to the W.
For Queen Mary's Tree, see NT45NW 2. 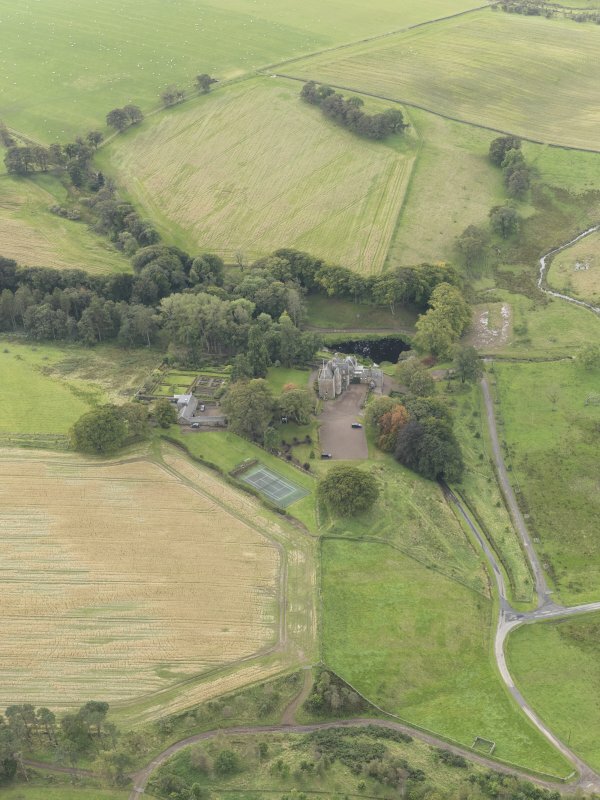 Cakemuir Castle is a mid-16th c tower, oblong on plan, 30' E-W by 24 1/2' and four storeys high. It has a turret stair projecting from the N wall. The only provision for defence was a series of gun-loops on the fourth floor, now built up. 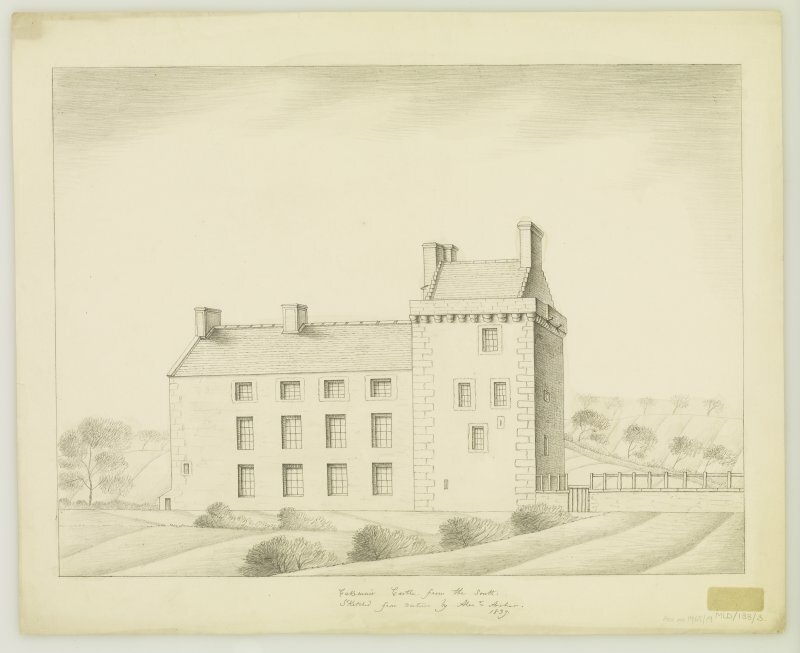 On the E gable is a heraldic shield, removed from above the original entrance, bearing the Wauchope arms: Adam Wauchope of Cakemuir is on record in 1565. Tranter notes that there have been additions, 18th c and later, to the W side, and that the whole building is still occupied and in excellent condition. 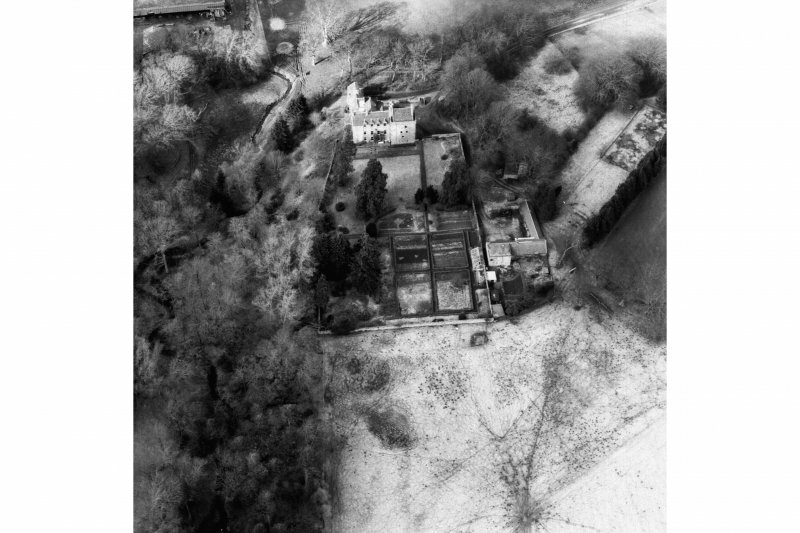 Bell alleges that Cakemuir Castle superseded an earlier fortalice, named Black, Castle (NT45NW 11) on the opposite side of the burn. NT 4120 5912. 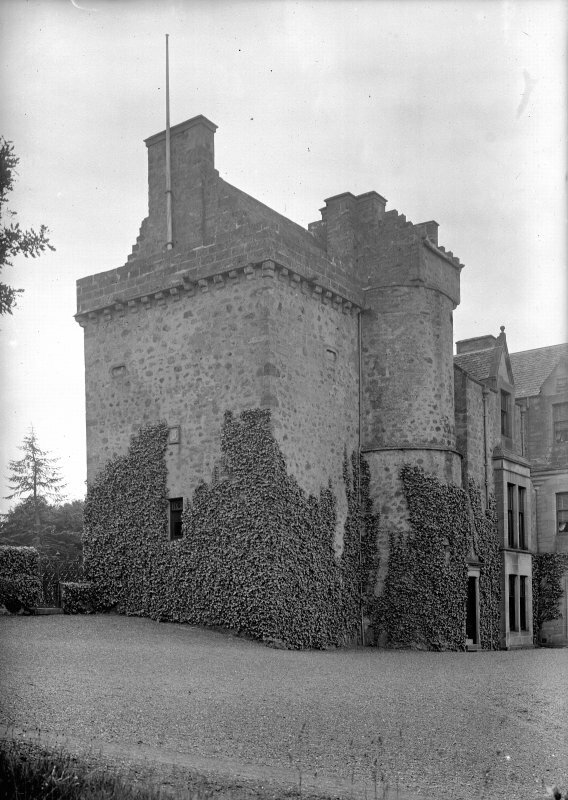 The proprietor of Cakemuir Castle, Mr M M Scott, suggests that 'restored' should be retained with the published name as the tower was considerably restored about 1949. It remains as described above. 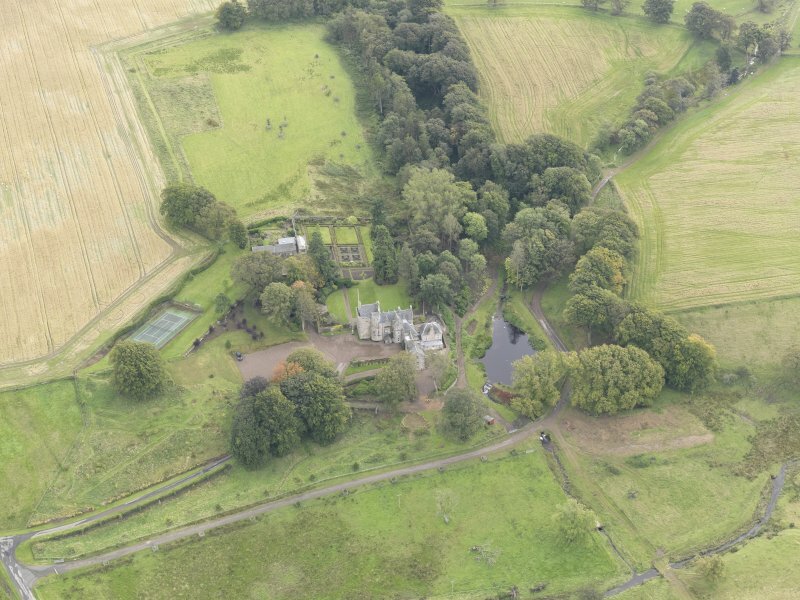 Cakemuir Castle is occupied and in excellent condition. Visited by OS (SFS) 12 August 1975. 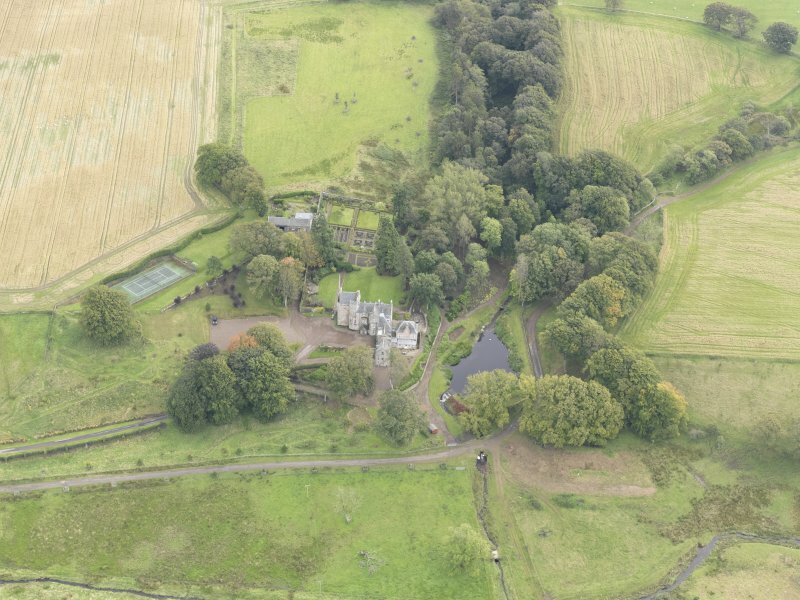 NT 4118 5911 Cakemuir Castle is a 16th-century tower house with later additions forming an L-shaped plan. 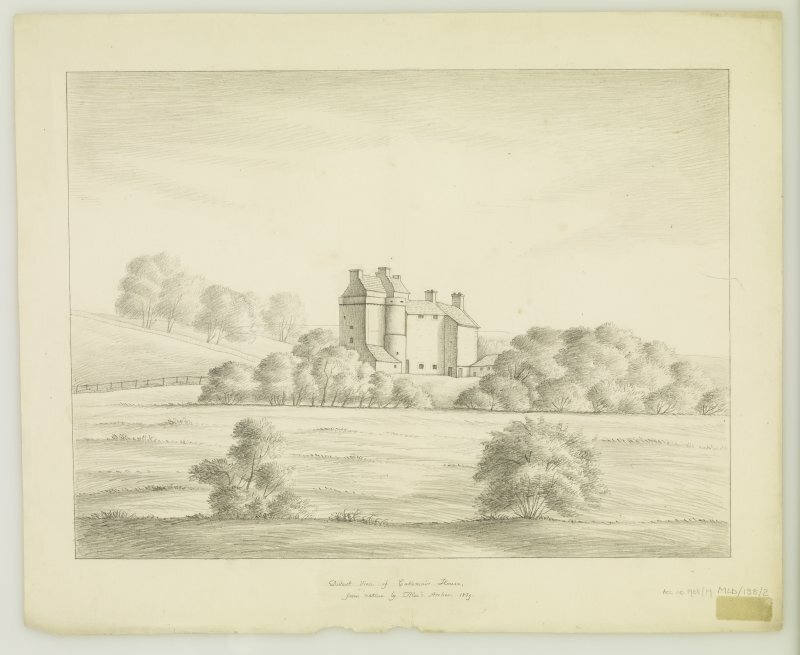 A standing building survey of the domestic west-facing elevation recorded blocked windows and building fabric prior to the erection of a new extension. An archaeological evaluation carried out on the footprint of the site of the new building revealed no archaeological features. 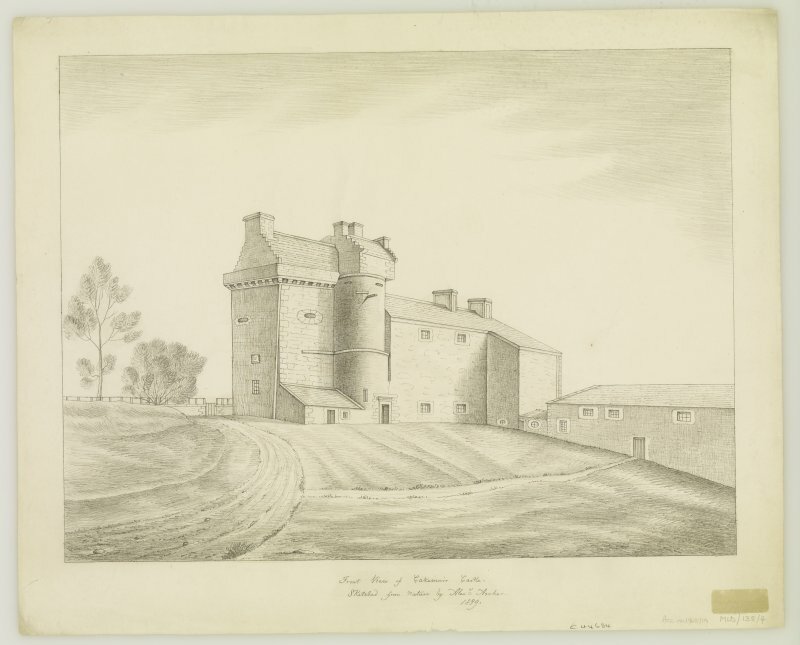 Mid 16th century tower with 18th century and later additions. 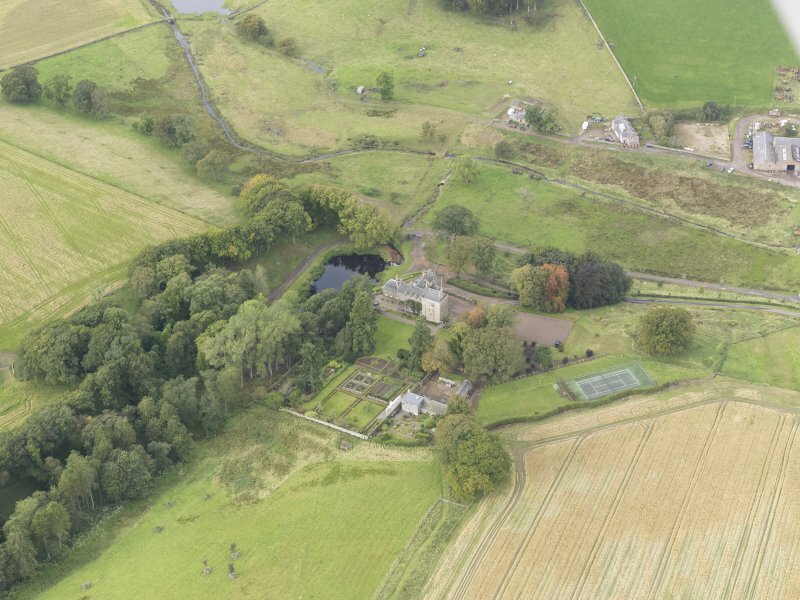 NT 4118 5911 Cakemuir Castle (NT45NW 1.00) is a 16th-century tower house with later additions forming an L-shaped plan. A standing building survey of the domestic W-facing elevation in July 2006 in advance of the erection of a new extension recorded blocked windows and building fabric. 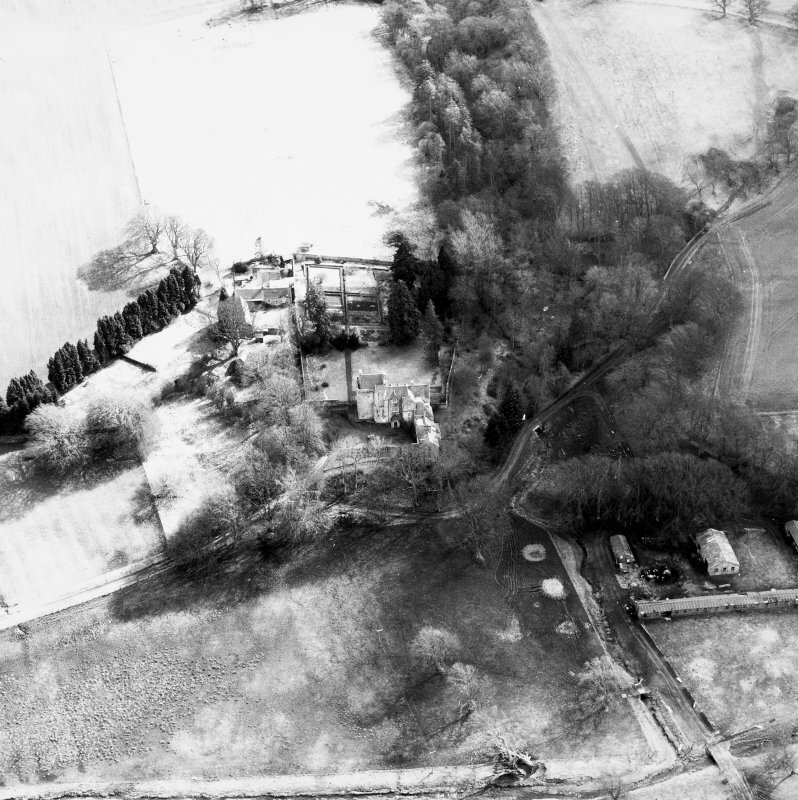 An evaluation in October 2006 on the footprint of the new building site revealed no archaeological features. Archive to be deposited with NMRS, report with Midlothian SMR.